In Microsoft Dynamics 365, you can create trace files that monitor the actions that are performed by the server and client applications. Trace files are helpful when you have to troubleshoot error messages or other issues in Microsoft Dynamics 365. To enable Microsoft Dynamics 365 Server tracing, you can use deployment-level tracing or server-level tracing. Choosing either method determines the range of server roles monitored, the degree of control, and how to enable tracing and the location of the trace files. Additionally, Microsoft Dynamics 365 Reporting Extensions, Dynamics 365 for Outlook, and Microsoft Dynamics 365 for tablets can be enabled for tracing. Deployment-level tracing monitors all Microsoft Dynamics 365 server roles and services, regardless of the server roles installed on the local computer. When deployment-level tracing is enabled, all server roles are monitored such as Asynchronous Service, Sandbox Processing Service, Unzip Service, Web application (w3wp), and Deployment Tools (mmc-Tools). Corresponding trace files are created. Deployment-level tracing is set by using Windows PowerShell commands and is maintained in the MSCRM_CONFIG database. Deployment-level tracing can only be enabled from a computer that has the Microsoft Dynamics 365Deployment Tools server role. The trace files are located in a folder on the computer where the Microsoft Dynamics 365Deployment Tools server role is running. By default, the location is C:\crmdrop\logs. Trace files may contain sensitive or personal information. Use discretion when you send trace files to other people, or when you give other people the ability to view the information in a trace file. When you turn on tracing it can significantly affect performance of the application. We strongly recommend that you only turn on tracing for troubleshooting issues and turn off tracing after the issue is resolved. Before you run Microsoft Dynamics 365Windows PowerShell commands, the Microsoft.Crm.PowerShell snap-in must be registered by running the Add-PSSnapin Microsoft.Crm.PowerShell command. For more information, see Administer the deployment using Windows PowerShell. To get a list of the registered Windows PowerShell snap-ins, run the Get-PsSnapin –registered command. To turn on deployment-wide trace settings that record the maximum amount of information, including detailed logging with callstack information, run the following commands, in the order provided, from the Windows PowerShell console on the computer where the Deployment Tools server role is running. To enable less detailed logging or to change the location of the log files, see Optional parameters. CallStack. Records callstack information. For detailed troubleshooting, we recommend that you turn this on. By default, this is turned off. Categories. Indicates the level of detail to record. Error. By default, the Categories value is Error, which is the least detailed and only records errors. Warning. Includes warnings and errors. Info. Includes warnings, errors, and additional information. Verbose. Records the most detailed information. Directory. Specifies the location of the trace log file. By default, the location is c:\crmdrop\logs. FileSize. Specifies the maximum file size of the log file in megabytes before information in the trace file is overwritten. To disable tracing, run the following commands, in the order provided, from the Windows PowerShell console on the computer where the Deployment Tools server role is running. Trace files aren’t deleted when tracing is disabled. Additionally, services used by Microsoft Dynamics 365 Server lock open the trace files. Therefore, you may have to restart any Microsoft Dynamics 365 services and the World Wide Web Publishing Service if these services are running on the computer where you want to delete the trace files. Server-level tracing only monitors those Microsoft Dynamics 365 server roles that are running on the local computer where server-level tracing is enabled. When server-level tracing is enabled, trace files that are specific to the Microsoft Dynamics 365 server roles or services that are running on the local computer are created. Server-level tracing does not require the Deployment Tools role and can provide a greater degree of control where you can set specific trace values such as what Microsoft Dynamics 365 features to trace or the maximum trace file size. For more information about setting server-level tracing properties in Microsoft Dynamics 365, see How to enable tracing in Microsoft Dynamics CRM. If both deployment-level and server-level tracing are enabled on the same computer, only server-level tracing will be used. 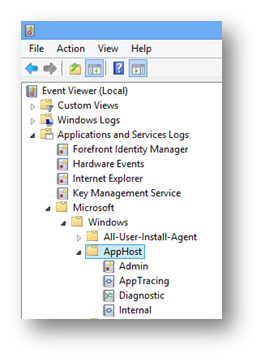 Server-level tracing must be manually set in the Windows registry on the computer where one or more Microsoft Dynamics 365 server roles are running. The server-level tracing files are located in the Traces folder of the Microsoft Dynamics 365 installation folder. By default, the location is C:\Program Files\Microsoft Dynamics CRM\Trace. Trace files may contain sensitive or personal information. Use discretion when you send trace files to other people, or when you give other people the ability to view the information that a trace file contains. This task contains steps that tell you how to modify the registry. However, serious problems might occur if you modify the registry incorrectly. Therefore, make sure that you follow these steps carefully. For added protection, back up the registry before you modify it. Then, you can restore the registry if a problem occurs. For more information about how to back up and restore the registry, see: How to back up and restore the registry in Windows. Create the following two required new values. If you use a value of 0, tracing is disabled. If you use a value of 1, tracing is enabled. This value must change for Microsoft Dynamics 365 to detect a change to any of the other trace values in the Windows registry. For example, if the value is 2, you can set it to 1 so that other trace values changes, such as a change to TraceCategories, will be applied. In Microsoft Dynamics 365, you can create trace files that monitor the actions that are performed by Microsoft Dynamics 365 Reporting Extensions. Trace files are helpful when you have to troubleshoot error messages or other issues in Microsoft Dynamics 365 Reporting Extensions. Trace files may contain sensitive or personal information. Use discretion when you send trace files to other people, or when you give others the ability to view the information that a trace file contains. Traces will not be generated if the folder specified in TraceDirectory does not exist. You can also set other row values like TraceCategories, but they already have defaults. Restart Microsoft SQL Server Reporting Services. Go to the DeploymentProperties table in the Configuration Database. Locate the row with the value "TraceEnabled" and set its "BitColumn" column’s value to "True". Other row values like TraceCategories, TraceDirectory already have default values, but you can change these values. You’ll start seeing the traces in the directory specified in the TraceDirectory row in the DeploymentProperties table. Registry settings take precedence over deployment properties. If there are any invalid entries in the registry, for example, and TraceDirectory does not exist, the deployment properties are used. This section applies to Microsoft Dynamics 365 (online) and on-premises versions of Microsoft Dynamics 365. Dynamics 365 for Outlook tracing monitors the instance of Dynamics 365 for Outlook that is running on the local computer. If an issue is isolated to a particular user running Dynamics 365 for Outlook, enabling Dynamics 365 for Outlook tracing can help determine the cause. The Dynamics 365 for Outlook tracing files are located in the C:\Users\<username>\AppData\Local\Microsoft\MSCRM\Traces folder. On the computer running Dynamics 365 for Outlook, click Start, click All Programs, click Microsoft Dynamics 365, and then click Diagnostics. Click the Advanced Troubleshooting tab, and then select Tracing to enable or click to clear Tracing to disable. Select a Tracking level from the drop-down list. 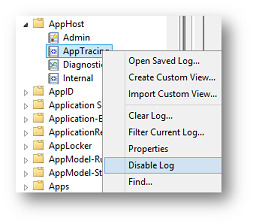 You can reduce the amount of information during the trace by setting the TraceCategoriesWindows registry value. For example, you can set the value so that only error messages are recorded. Reducing the amount of logging can be helpful when you troubleshoot specific issues, such as when you receive error messages going offline. To do this, follow these steps. Turning on verbose tracing during process intense actions such as Outlook startup, or going online and offline with Dynamics 365 for Outlook, is not recommended and could result in stability issues with Dynamics 365 for Outlook. This task contains steps that tell you how to modify the registry. However, serious problems might occur if you modify the registry incorrectly. Therefore, make sure that you follow these steps carefully. For added protection, back up the registry before you modify it. Then, you can restore the registry if a problem occurs. For more information about how to back up and restore the registry, see How to back up and restore the registry in Windows. Notice that tracing must already be enabled for the following steps to work. On the computer where you have installed Dynamics 365 for Outlook start RegEdit and locate and then click the following registry subkey: HKEY_CURRENT_USER\Software\Microsoft\MSCRMClient. If the TraceCategories string value does not exist add it. To do this, right-click MSCRMClient, click New, click String Value, type TraceCategories and then press ENTER. Right-click TraceCategories, click Modify, type Application.Outlook:Error, and then click OK.
For more information about the values available for TraceCategories, see How to enable tracing in Microsoft Dynamics CRM. Trace files are not deleted when tracing is disabled. This section applies to Microsoft Dynamics 365 (online) and on-premises versions of Microsoft Dynamics 365. Microsoft Dynamics CRM Email Router tracing monitors the Email Router service that is running on the local computer. On the computer where the Microsoft Dynamics CRM Email Router service (Microsoft Dynamics 365 Email Router) is running, open Microsoft.Crm.Tools.EmailAgent.xml using an XML or text editor. By default, Microsoft.Crm.Tools.EmailAgent.xml is located in the <drive>:\Program Files\Microsoft CRM Email\Service folder. Specifies the logging level. Acceptable values for Level are 0, 1, 2, or 3. 0. No logging. By default, logging is set to 0. 2. Detailed information logging at the mailbox level. 3. Very detailed information logging at the message level. Specifies the full path of the location to the log file. Restart the Email Router service. The following Microsoft.Crm.Tools.EmailAgent.xml file sets the logging at level 1 and places the log file at c:\emailRouterLog.txt. 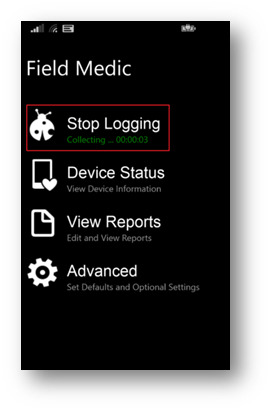 To help with troubleshooting, follow these steps to capture and view logs on your Windows Phone. 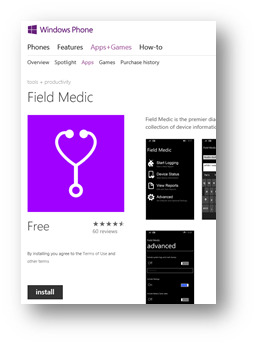 Install the Field Medic app from the Windows Phone store. 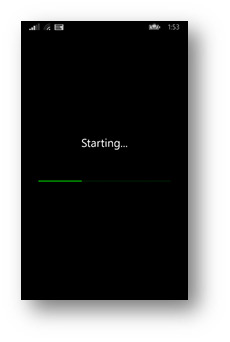 Connect your Windows Phone to your computer via USB. 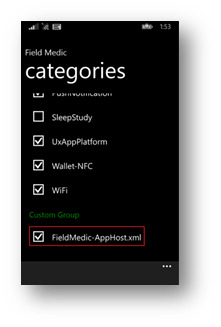 Create the file FieldMedic-AppHost.xml in the following folder: computer\<windows phone>\Phone\Documents\FieldMedic. Create the folder structure if it doesn’t exist already. 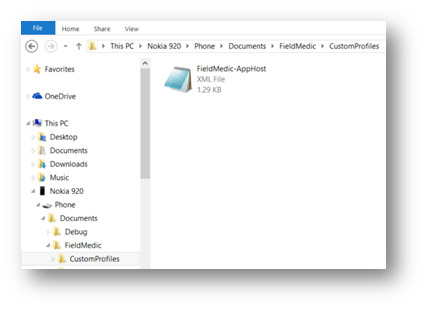 You can create the file using Notepad and save as FieldMedic-AppHost.xml. Using Notepad, add the following code to the FieldMedic-AppHost.xml file. 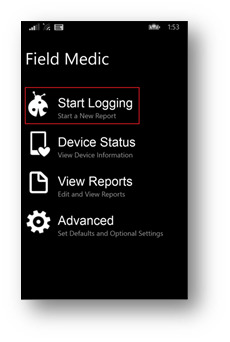 Open the Field Medic app. Tap Choose which ETW providers to use. Swipe up to locate the Custom Group section and then select the checkbox for FieldMedic-AppHost.xml. Switch to the Dynamics 365 for phones app. Switch to the Field Medic app. Provide a title for the logs and then tap Save. 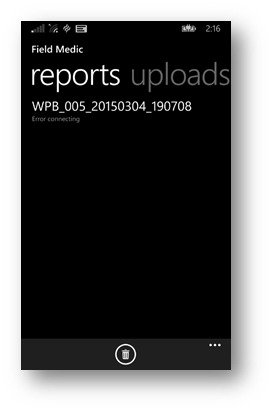 Tap View Reports to confirm you logs were successfully saved. 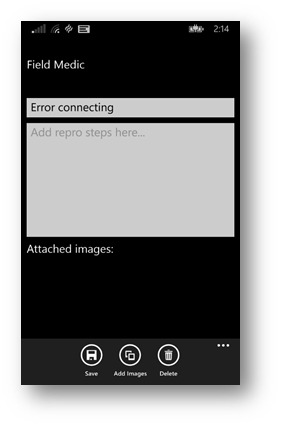 Disconnect and reconnect the USB cable to your Windows Phone. This will ensure the latest files appear. Copy the contents of this folder to your computer. Open Event Viewer on your computer. 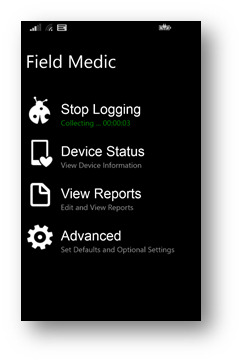 Navigate to: computer\<windows phone>\Phone\Documents\FieldMedic\reports or wherever you copied the log files from your Windows Phone. 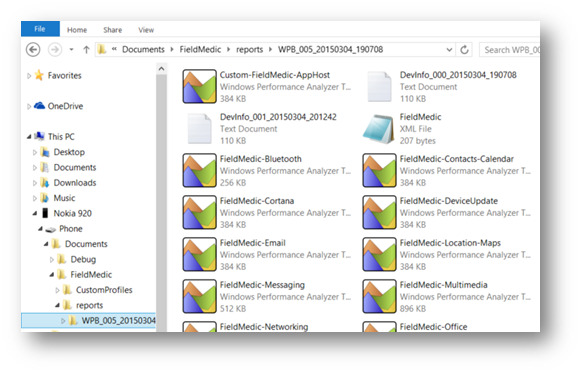 Select and open the Custom-FieldMedic-AppHost file. If prompted to open the log in the new event log format, click Yes, and then click OK.
Review the event log entries for any errors. 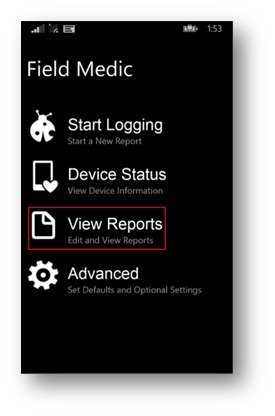 You can enable tracing in the Microsoft Dynamics 365 for tablets app to diagnose issues. When you enable tracing, verbose information is recorded on the device. This information can be analyzed to help identify the source of an issue. The way to enable and view tracing differs depending on the tablet operating system. Follow these steps to view events. Tracing is enabled by default. Open the Event Viewer. To do this, go to the Start screen, type Run, and then press or tap ENTER. In the Run box type eventvwr, and then press or tap ENTER. From the View menu, click or tap Show Analytic and Debug Logs. Additional nodes will appear under the AppHost folder. Right-click (press and hold) the AppTracing node and then click or tap Enable Log. Click or tap OK to agree to the following warning. 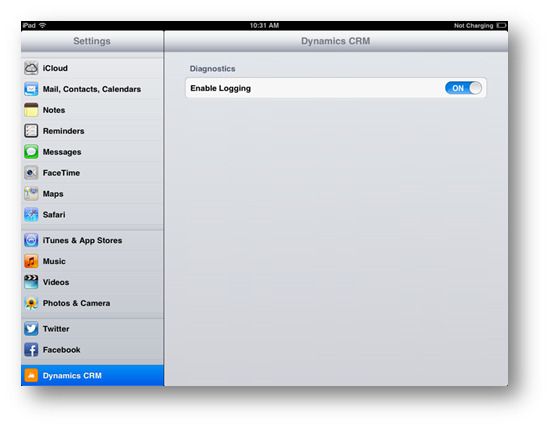 After reproducing the issue, right-click (press and hold) AppTracing and then click or tap Disable Log. 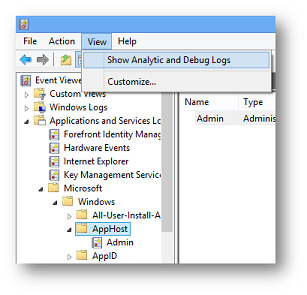 Refresh the Event Viewer to view log events. You can use F5 or right-click (press and hold) AppTracing and then click or tap Refresh. Review the details of events that are logged. Look for entries containing “Dynamics 365” in the field under the General tab. You can right-click (press and hold) AppTracing and then click or tap Find to initiate a find. Then search for any events containing a word such as “Dynamics 365.” Ctrl + F is the keyboard shortcut. Also check the events logged under Admin. To save an event log, right-click (press and hold) the log and select Save All Events As. Specify the directory where you want to save the log file. 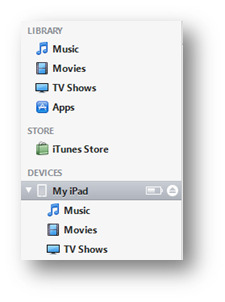 Follow these steps to set up and view logging on the iPad. 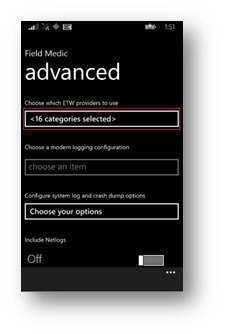 Select Dynamics 365 from the Settings list. The Enable Logging option is set to OFF by default. Toggle this option to switch the setting to ON. After reproducing the issue, toggle the Enable Logging setting to OFF. Select your device from the Devices section. Select the Apps area from the header. Locate the File Sharing section and select the Dynamics 365 app. On the right-side column you should see a list of log files if logging was enabled for the app. 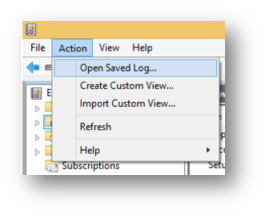 Select a log file, press Save to, and then choose a location to save the log file. 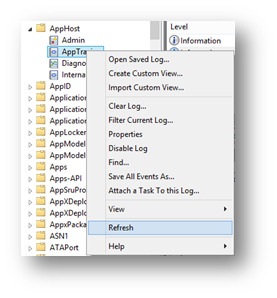 Locate the log file you saved and open it to view the log details. On an Android device, you can enable logging during or after configuration. If you’re setting up Dynamics 365 for tablets, see Enable logging on the setup page. If you have already configured Dynamics 365 for tablets and encounter an error post configuration, you need to sign out or reconfigure to enable logging. See Enable logging after configuration. On the setup page for Dynamics 365 for tablets, tap the ellipses (…) to display the option to enable logging. Tap the Enable Logging checkbox. 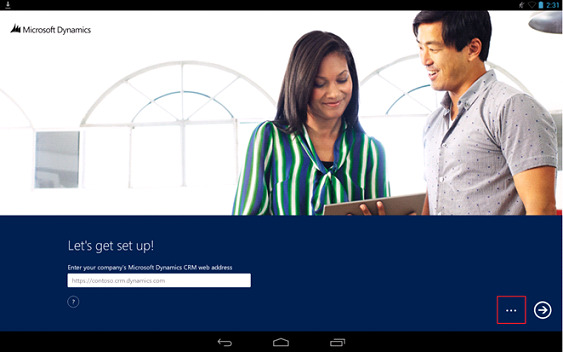 Open the Dynamics 365 for Android app. 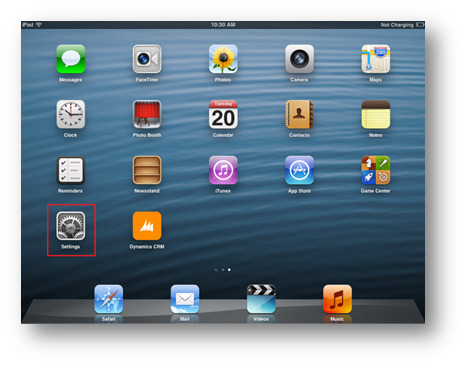 While on the dashboard, tap the ellipses (…) in the bottom-right corner to display the command bar. Tap Settings, and then tap Sign out. On the sign-in page, tap the back button to go to the set up page. Tap the Enable Logging check box. 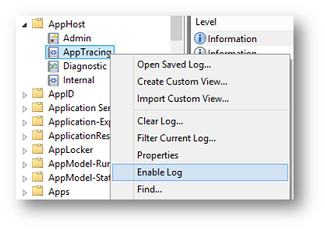 Logging is written to a log file in the MSCRM folder in the root directory of your device. You can connect your tablet to your computer with USB to browse the file system. 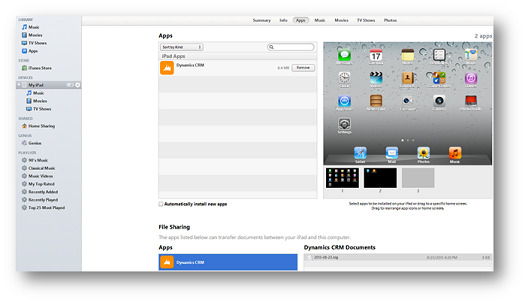 You can also use other company’s Android apps to view the file system. 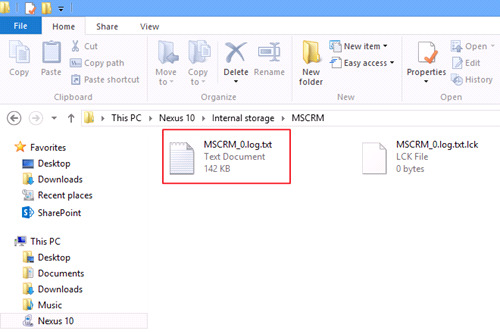 Open the MSCRM folder, then select and view the log file. The following example shows you what you might see in a log file. The Operations Manager management pack for CRM enables you to monitor Microsoft Dynamics 365 (on-premises) in Microsoft System Center Operations Manager. You can download the Microsoft System Center Operations Manager management pack for Microsoft Dynamics CRM 2016here.